What is Warwick Rail Challenge? 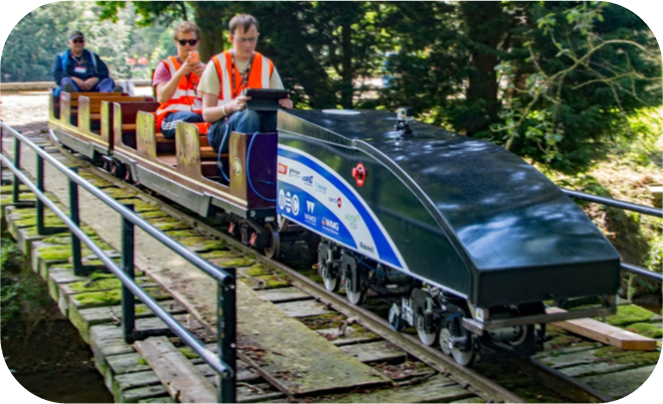 Warwick Rail Challenge is a fourth year university Engineering project to create a fifth scale locomotive to compete in the IMechE Railway Challenge. We must design and manufacture a miniature (10¼” gauge) railway locomotive in accordance with a set of strict rules and a detailed technical specification. This will be tested live at the competition weekend alongside our competitors from various other universities and companies. At the competition, which takes place in June at Stapleford Miniature Railway in Leicestershire, several categories of winners and an overall Railway Challenge champion will be crowned. We are the fourth team of students to undertake this challenge so we will be working with last year’s locomotive, hoping to improve on the team’s impressive 7th place overall position and defend the first place title in the Noise Challenge. Last year's team at competition. What is the IMechE Railway Challenge? The Railway Division of the Institute of Mechanical Engineers (IMechE), organises this event which provides a brilliant opportunity for aspiring teams to compete in yet another challenging industry-specific competition, showcasing their skills, expertise, knowledge, and business acumen. The challenge, now in its seventh successive year, has and will continue to bring together teams of university students, as well as apprentices and graduates working in industry across the world to test their business knowledge, design ability and technical skills in a live test environment. The Reliability Challenge: Teams will need to demonstrate fault free running to the satisfaction of the judges. Competing in every event is key to a good performance in this challenge. The Energy Storage Challenge: This challenge aims to assess how well the locomotive can recover and reuse energy, for example, when stopping at and restarting from a station. Teams will need to demonstrate to the satisfaction of the judges that only the energy extracted from the braking phase is used in this challenge. The Traction Challenge: This challenge tests the ability of the designed locomotive to pull a load from a standing start. Teams will need to consider all aspects of traction including motive power, transmission and adhesion. This challenge will be run in combination with the Noise Challenge. The Ride Comfort Challenge: This challenge will test the effectiveness of the suspension of the locomotive to isolate the locomotive body from track irregularities and other sources of vibration. The Noise Challenge: This challenge will test the noise emitted by the locomotive. An assessment will be made for pass-by noise with the locomotive travelling at maximum speed. This challenge will be run combined with the Traction Challenge. The Maintainability Challenge: This challenge will test the ease with which major components can be safely removed from the locomotive and then replaced to test the ease with which maintenance can be carried out. The Design Challenge: This challenge will take the form of a short written report that is submitted to the judges four weeks prior to the competition. During the competition questions may be raised from the report by the judges during the business case presentation. The report may also be used to raise questions as part of the scrutineering process. The Business Case Challenge: The Railway Challenge teams are to consider themselves as representatives of a manufacturer that has produced a prototype locomotive which they wish to tender for a locomotive procurement competition. The Railway Challenge judges have formed a large company, IMERC Limited and wish to procure a number 10¼ inch gauge locomotives for lease to commercial attraction operators, school/college engineering courses or other application. IMERC invites interested parties to present a business case for their locomotive with a view to winning an order to supply a fleet of fifty (50) locomotives. The business case presentations shall be made to the executives of IMERC (i.e. the Railway Challenge judges). The Innovation Challenge: This challenge will take the form of a written submission in the format of an academic journal article or conference style research paper which will describe a novel and innovative aspect of the locomotive design. During the competition questions may be asked by the judges about the novel and innovative features of the design when they are assessing the locomotive. For more detailed information on the challenge visit the IMechE website. 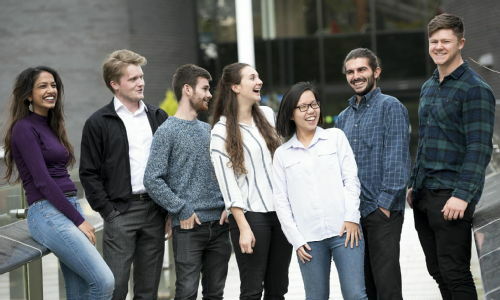 We are a group of seven fourth year multidisciplinary engineering students from the University of Warwick with support and guidance from academic staff and technicians. Aside from being interested in the innovation and challenging tasks faced in the competition, we are using the work and experience gained from this study as our fourth year group project. For this reason and the competitive nature of our team members we are putting lots of effort into this challenge. This year we are working on our locomotive’s brakes to improve our stopping distances, reduce noise and improve in the Maintainability Challenge; we’re working on the gears to fix a breakage and improve on the design; we’re changing our energy source to be solely powered by lithium ion batteries and will finally be getting our energy regeneration system up and running. So if all goes to plan we are hoping to finish in a relatively good position (“if all goes to plan” being the key part of that statement!). As for an interesting fact about us: between the seven of us we have two hockey players, a badminton player, a rugby league player, two motor sport-ists and a Thanos… We are very good at balancing our work and home life although on the eve of our official photo shoot, our electrical engineer took a knock to the face during his rugby match and we had to postpone the photo until the swelling went down! Gayari, Kyle, Luke, Alice, Cen, Thanos, and Max. You can follow us on Facebook and Twitter to see what we are up to day to day. Previous teams have been sponsored by Catapult, Horizon, Morgan, Roboteq, Spectron, Arcola Energy and 4QD – Electric Motor Control. We hope to continue partnerships with many of these companies and where possible form new alliances. We are delighted to announce that support from Catapult and RS Components has been confirmed for the 2017-18 year! If you are an Engineering student at the University of Warwick and think you may want to be part of this project in your third or fourth year get in touch with us or our supervisor Darren Hughes. If you are studying Engineering at another university or work in the rail industry and want to get involved with the IMechE competition, feel free to contact us for more details and tips. If you want to know more information about us or what we’re doing, wish to enter a research collaboration with us or offer sponsorship please get in touch!